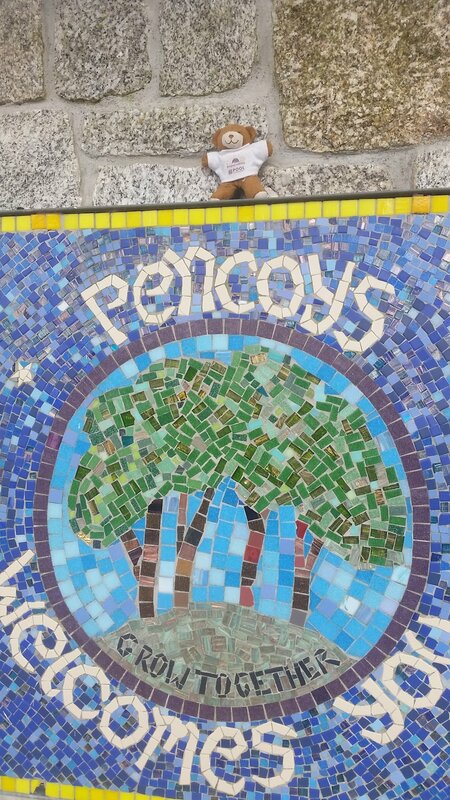 Exciting trip to Pencoys School. What a brilliant way to end the week! Mrs Hutchinson, Headteacher at Pencoys, invited me to lead the whole school assembly this afternoon. I was a bit nervous that there would be so many children but they were super lovely to me. I loved hearing them sing their school song and I hope I can visit again soon so I can learn the words and sing along too. Phil told all the children about my last adventure and said he was really hoping that they would enter the competition and be part of my next launch team. There were lots and lots of questions at the end of the assembly. One student asked whether Phil could find me a jetpack. I think that’s a great idea although I will need lots of training to make sure I’m safe using it – maybe I need to save that for the next mission. Mrs Hutchinson said she really hoped lots of children entered the competition. She is really proud of all Pencoys students and knows they would be a great addition to my launch team. She wished all of them lots of luck.